A Traditional IRA is a retirement account where individuals are allowed to contribute pre-tax income which grows tax-deferred. No dividend-income is deducted by the IRS until the amount is withdrawn by the account holder once they attain the age of 59 ½ years. 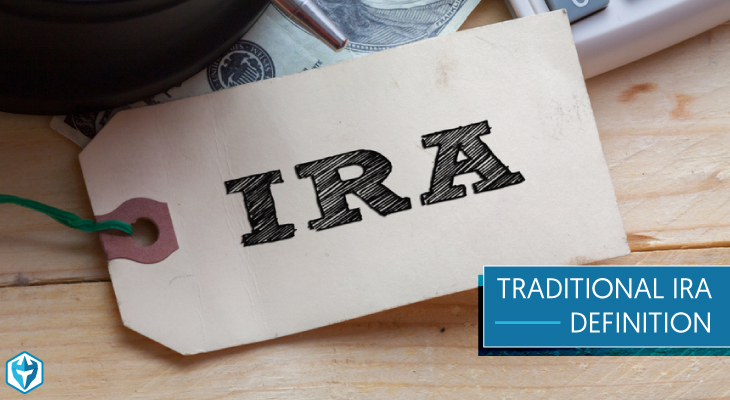 Traditional-IRA accounts are overseen by select custodians who include retail brokers and banks. What happens is the individual is given the chance of selecting financial instruments they would like to invest in. The available financial investment vehicles are made available by the custodian. Once the individual has selected the best financial instrument that aligns with their future goals, the custodian will go ahead and invest the money which can be in stock, mutual funds, bonds or whatever financial product that meets their investing strategy. The dividends gained from the investment will remain in the account tax-deferred until one attains the age of 59 ½ years. If you earn an income together with your spouse and file your tax-returns together, then you are eligible to contribute to the retirement arrangement until you turn 70 ½ years. What you need to know is that you can deduct your salary and wages when it comes to taxes. This will help to reduce your tax. According to the 2017 traditional-IRA guidelines, if you are aged 50 years and below, you are allowed to make a contribution that totals up to $ 5,500 but if you are above 50 years, you can top up with another $1,000. Thanks to the above arrangement, spouses with a lower or no salary are able to take advantage of the savings provided by the retirement arrangement. Contributions to the plan can be made within the current tax year and even before the tax year. This excludes extensions. What happens in case of early withdrawal? As said earlier, withdrawals from your retirement arrangement account are allowed once you attain the age of 59 ½ years. There are cases where individuals will request for early withdrawal. What you ought to know is that in case of early withdrawal, the IRS will impose a 10% penalty fee. Despite this, there are cases where the penalty fee does not apply. For example costs associated with the purchase of a first home, costs associated with certain college expenses, certain medical expenses, disability and death among others. Individuals can make withdrawals to their retirement arrangement account once they attain the age of 59 ½ years. The amount to be withdrawn will depend on one’s age and level of contribution. In this form of retirement arrangement, the funds will increase thanks to the multiplier effect. If the contributor passes away, he or she can bequeath all assets to a beneficiary. This can include a spouse or another heir. The beneficiaries have the option of withdrawing the funds in a lump sum or they can withdraw the funds over a number of years. During withdrawal, the funds will be taxed. Retirement represents the driving goal in the lives of most working Americans. It’s the proverbial light at the end of the tunnel. Reliance on Social Security benefits to fund retirement has become increasingly problematic, with many new retirees unable to even make ends meet on their benefit allotment, let alone enjoy their retirement. In order to achieve a comfortable retirement, personal investments become a critical component of any sound retirement plan. Unfortunately, most people are not well-educated investors. This problem owes both to the fact that the investment game has become a remarkably complex one, and to the fact that most Americans fail to take an active involvement in their retirement savings, often simply relying on their company’s 401k plan to handle all the details. While taking advantage of a company 401k, or even a private IRA or Roth IRA, helps, understanding where your savings have been invested is vital. This lack of education has resulted in a shocking lack of sufficient retirement savings among by the average American. Most Americans aren’t even on track for “on-time” retirement, let alone the ideal of early retirement. A little education can go a long way, and countless tools can be found online for calculating retirement needs and a viable savings schedule. Saving early and regularly, even if only in small amounts each paycheck, can make all the difference. Taking advantage of company 401k matching can present a huge advantage in a strong retirement plan as well, and shouldn’t be overlooked. Knowing what your 401k or IRA invests in, and selecting your portfolio accordingly, can become the difference between a struggling retirement, and a comfortable one. Take a look at the data below to see where you stand among your fellow Americans, and for some tips on improving your own retirement plan. Planning for your retirement is very important. Yes, there are several options available for you but one of the best is the traditional-IRA. For starters, dividends gained from investments are not tax deductible until withdrawal of the funds. Furthermore, thanks to the multiplier effect, the account holder will experience a tremendous growth in the account. Once the account holder attains 59 ½ years, he or she is eligible to withdrawal the funds and no penalties will be incurred.